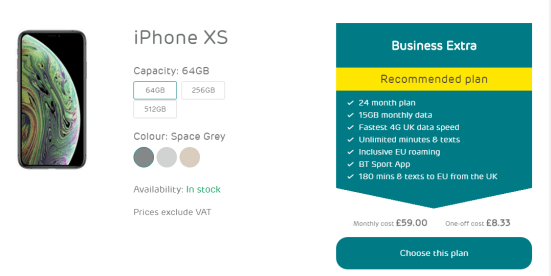 Need support on business solutions, well here at Brighter Telecoms we offer a wide range of packages that we will tailor make to any customers needs. Brighter Telecoms specialise in working alongside SME to Corporate customers to identify the correct communication solution for your business which ultimately is going to reduce your costs, tailor your solution to your specific requirements, increase productivity and introduce new technology to help drive the business forward. Having spent the many years in the communications industry, we have seen many changes in both technology and user behaviour and from this gained experience and knowledge giving me the ability to confidently advise in the following Areas of Specialities: • Mobility & Remote working • Broadband & Data Networks • Converged Solutions • Business Mobile Provider • New Business Development • Customer Retention • Microsoft Office 365 • Reducing communications costs for businesses • Account Management: Understanding customer needs. Call today for a free no obligation quote. To see what our business really has to offer. Call our sales line on 07886007542. 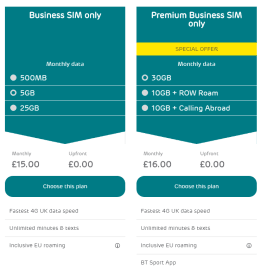 Tariffs & Devices Brighter Telecoms offers a range of mobile tariffs including single user, shared user, unlimited shared user and a selection of bolt ons including calls, texts, data, iPhone, Blackberry, international roaming and UK, EU and international mobile broadband. Alternatively we will work with you to find a bespoke package that suits your organisation’s needs precisely. 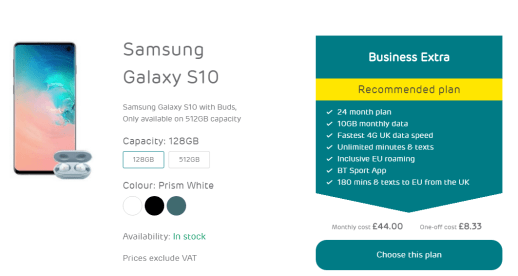 Brighter Telecoms also provides a comprehensive choice of devices from all the major manufacturers and the device portfolio covering smartphones, tablets, dongles and MiFi units is updated continuously. We also support Bring Your Own Device (BYOD) with our Sim only tariffs. Business Saving Brighter Telecoms can cut your call expenditure on fixed lines and mobile. On average, 17% of all fixed line business calls are made to company mobiles in the same organisation. Brighter Telecom has a range of tariffs to suit all business types which will help you reduce and control call costs. If for example you take a B2B business service such as our SIP trunk service or Hosted Business Phone Systems we can offer free of charge calls to your Columbus contracted business mobiles as well. Calls between offices are also free of charge which can result in significant cost savings. Best of all, your fixed and mobile charges will be combined on a single bill and you will benefit from a single point of contact for all services. One Supplier If you are frustrated by dealing with multiple telecoms, mobile, broadband and technology service providers on a day-to-day basis you have definitely come to the right place. Brighter Telecoms has over 15 years of experience providing fixed line services, inbound numbers, call handling solutions, business phone systems, business mobile phones and business connectivity. By switching to Brighter Telecoms you will benefit from a one bill solution covering all of your essential telecoms and IT related expenditure, combined with significant cost savings, exceptional customer service and a single point of contact Reliability Brighter Telecoms are able to offer your business a quotation on all of the major mobile phone networks; EE, Vodafone and O2 which means that we have the backing and reliability provided by the major networks but benefit from complete control of our business mobile proposition from mobile tariffs, data plans, ordering, service management and billing. Area of Specialities: • Mobility & Remote working • Broadband & Data Networks • Converged Solutions • Business Mobile Provider • New Business Development • Customer Retention • Microsoft Office 365 • Reducing communications costs for businesses • Account Management: Understanding customer needs. Please note that Brighter Telecoms Ltd may not be able to honour booking requests made.